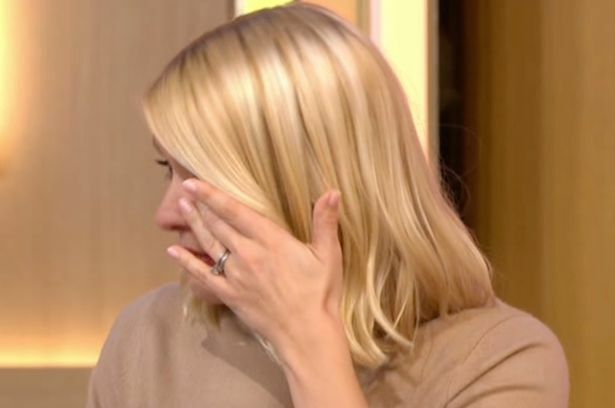 Holly Willoughby was left in tears on today’s This Morning after an April Fools’ prank went horribly wrong. 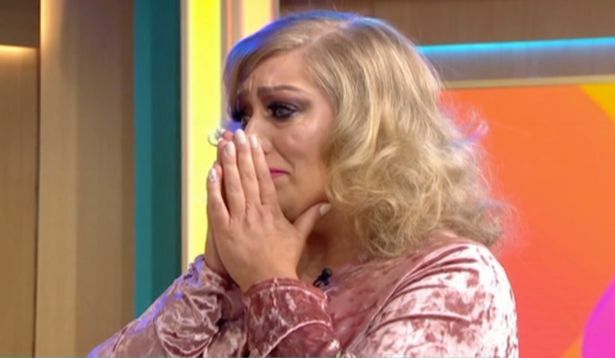 The presenter, along with co-host Phillip Schofield, had announced to viewers earlier in the show that a fan was getting a makeover ahead of her school reunion. However, Holly was completely unaware that guest Carol was actually an actor – as was her ‘husband’ Pete, who had nominated her for the makeover. As she walked on stage having been completely transformed, Holly and Phil told Carol how amazing she looked before the cameras panned to show viewers her new look. Carol’s brunette hair had been transformed into blonde locks, and her everyday clothes of jeans and a jumper had been swapped for a pink, velvet dress with white boots. Despite the presenters’ assurances that she looked amazing, Carol quickly started to cry before she asked for filming to be stopped. Clearly shocked, Holly and Phil asked if she was okay before Carol confessed she wasn’t a fan of the look. When Holly asked if it was just the shock, their guest said it just wasn’t what she expected. Phil brought out the tissues (classic Phil) while Holly attempted to reassure her that there were plenty of outfits for her to choose from, and she didn’t have to stick with this one if she didn’t like it. However, Phil said there wasn’t really time and quickly rushed the couple out of the building, where a car waited to take them to lunch. Keeping the prank going, Phil asked if everyone was okay before telling the camera crew to stop filming the crashed car. The whole thing became too much for the presenter who swiftly burst into tears and described the experience as ‘awful’. I can’t tell you, that was so awful. I’m so relieved it wasn’t real. Everyone apart from Holly was in on the act, so I have to commend them all for their acting skills. If I was in Phil’s position, I can guarantee I’d have burst out laughing pretty much straight away. Poor Holly. Hopefully she’ll be able to get her own back next year!